Ras G, who runs a record label and store in Los Angeles called Poo-Bah Records, will be the next artist to release an album on Flying Lotus’ Brainfeeder imprint. 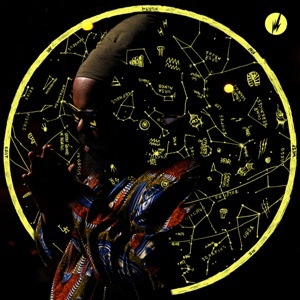 Ras G has already dropped two albums, including last fall’s Ghetto Sci-Fi. His new Brotha From Anotha Planet will be issued via Brainfeeder (with help from Alpha Pup) on April 14 April 7. Though it’s a digital release, don’t be surprised if it appears as a limited-edition CD (or even vinyl) in the near future. Here’s the track listing according to Alpha Pup. However, Ras G’s MySpace page gives a slightly different sequence, so I’ll try to reconcile the two lists shortly. This entry was posted in News and tagged Brainfeeder, Ras G. Bookmark the permalink.